I'm not sure why I had never thought of this before. I mean, why couldn't you cook any pasta like risotto? But thanks to Bittman, my mental lapses have been remedied. 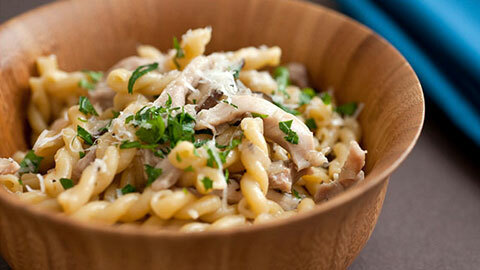 Any pasta comes out tasting absolutely delicious, creamy and decadent. And it's only chicken broth to blame!